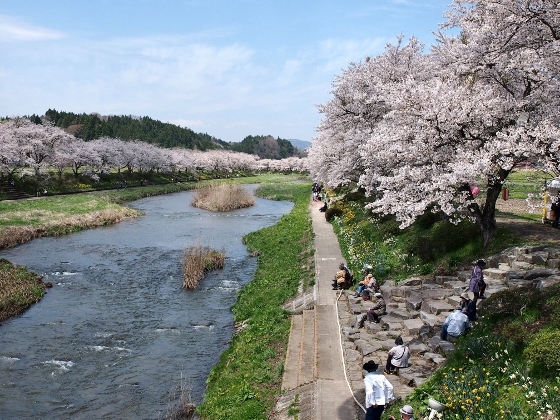 Today I visited Natsui Thousand Cherry Trees in Ono Town. 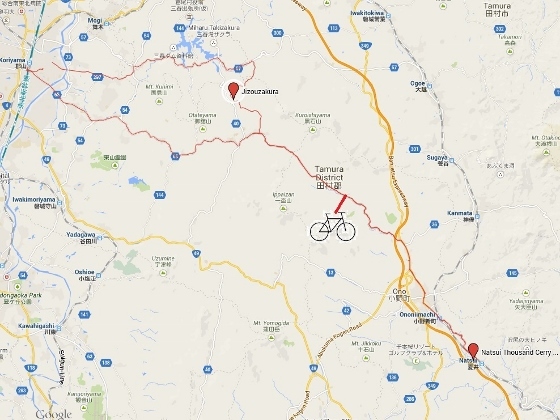 On the way I also stopped at Jizozakura in Koriyama City. Above picture is Jizozakura in Koriyama City. 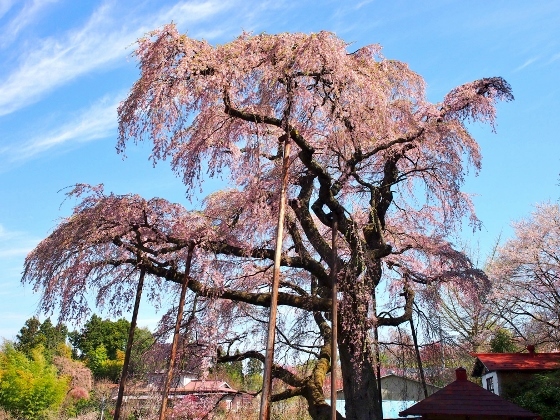 This tree is also considered as one of children of Miharu Takizakura. Today, the cherry blossom has just passed its finest stage due to the rain and wind just before. 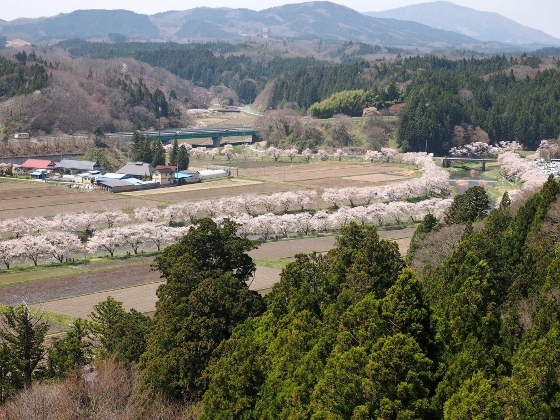 Above pictures are of Natsui Thousand Cherry Trees today. One is from the bridge over the Natsui River, and another from observation deck on the nearby hill. The flower was in the last stage of its full bloom. It is located just in front of JR Natsui Station of Ban-etsu East Line.